The letters DS are something which most will relate to the Citroen brand of cars from the likes of the Citroen DS3 for example. However in recent years the letters DS have moved away from carrying the badge of Citroen and indeed the name completely as “DS Automobiles” now holds its own entity. DS Automobiles now fill a gap from the French brand that provides “An exclusive blend of technology, craftsmanship, avant-garde style and attention to detail”. In simple terms you are getting a lot of bang for your buck and indeed a lot more character than ever. This DS4 model we tested a few months back now is the first time I have experienced a new DS and indeed it was a pleasure. At a glance the DS4 is incredibly smart looking especially due to the Platinum Grey metallic paint on this model tested (£520 option). Stylish, curvaceous and rich looking with a sleek roofline are other instant thoughts when looking around the DS4 while the looks are aided via chrome door mirror covers (£100 option) and with a nineteen inch wheel upgrade (£400 option) the drivability and style of this DS4 is further enhanced. 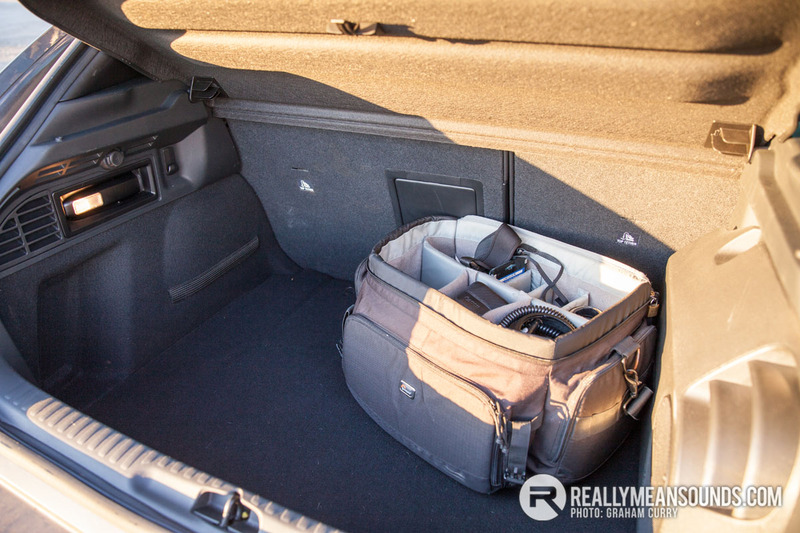 Opening the tailgate revealed a boot with ample room for most needs of a medium sized car and I could not help but notice the Denon audio sub woofer housed in a custom area to the right hand side of the boot. A weeks shopping should fit with ease, a small buggy and some shopping or a couple of weekend bags. 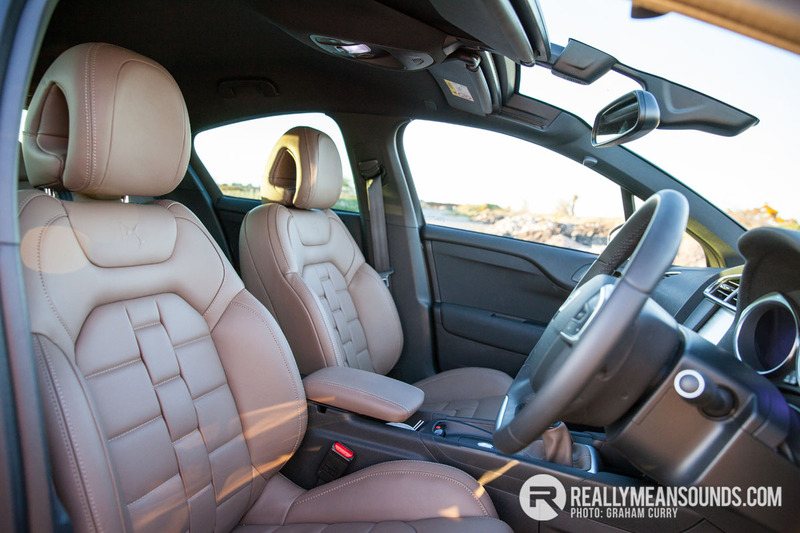 Inside the cabin there was mixed feelings for me, plush looking and very comfortable quilted leather seats that not only heated ones posterior but also massaged at the push of a button too were in stark contrast to hard and cheap looking plastics used around the dash and doors. The control buttons for the heat, massage and lumbar support on the seats was in a bit of an awkward position too as not only could I not see them whilst driving due to them behind between the seat and door card, but every time I got in and out of the car I was activating the switches with my rounded derrière. Asides from these grumblings, the dash of the DS4 is well laid out with all controls easily reached and in fairness once on the road it is a nice place to be and very comfortable indeed. During the week I had this test car I done several hundred miles photographing the Circuit of Ireland Rally. As such, fellow journalist “Big J” was onboard and at a mere six foot eight inches tall (as his name may suggest) there are few cars he is comfortable in but I can attest that he was more than comfortable in the navigators seat of the DS4. Rear leg room is average at best and on a long run may be uncomfortable after a while for above average sized adults but perfect for children. Finishing off the inside and worth mentioning is the panoramic windscreen which gives the illusion of being in a much larger cabin. Infotainment is in abundance as expected with such a brand with DAB Radio, Bluetooth, aux input, USB input etc and the all important Denon audio package which sounds just fantastic. The seven inch colour touch screen displays what can be seen from the reverse camera and the sat nav built into it is easy to use. Engine wise this test model was fitted with the potent 150bhp 2.0 turbo diesel unit producing 273lb/ft, which was potent and punchy whilst being smooth enough and reasonably refined. During my week and over 400 miles in the car the average consumption was nowhere near DS Automobiles claimed 72.4mpg but more, mid to late 40’s mpg. 0-62mph is achievable in a respectable 8.8 seconds with the power being put to the ground through the six speed manual gearbox via the front wheels. 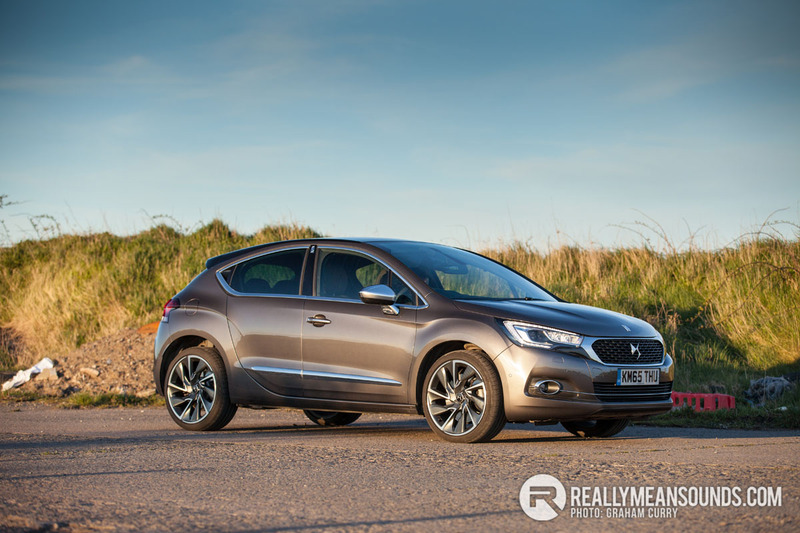 Driving wise, due to following the rally during my time with the car, I had the chance to properly see what the DS4 is like on every possible road possible. It handled well and absorbed some of the most beautiful meandering coastal roads with ease and comfort with little effort being required from the driving seat, my only personal dislike was that the steering was very light with little feedback. This is an attribute that most will not notice and around town it was perfect. 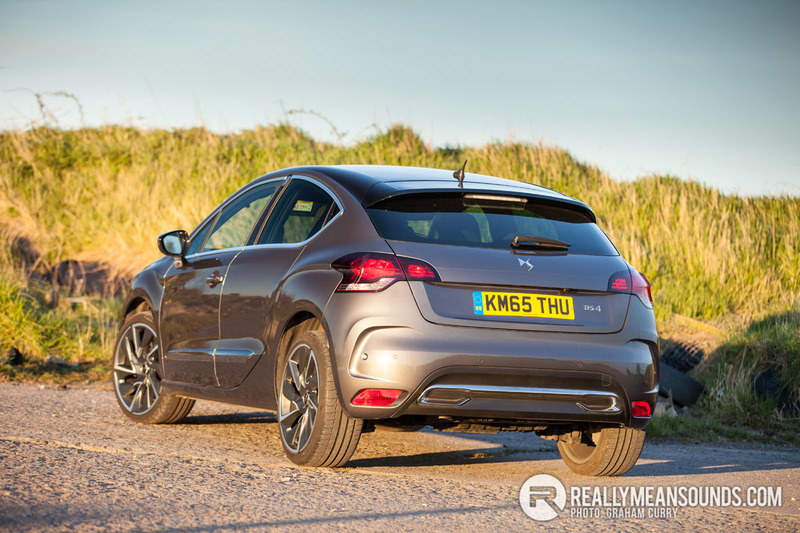 Overall the DS4 has improved greatly from the previous Citroen branded models and indeed was a pleasant all round package that would suit a small family or retired person alike I feel.